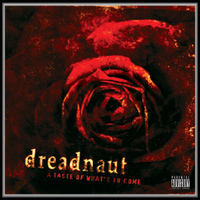 Dreadnaut’s album, “A Taste of What’s To Come” is a hard-hitting, in your face, metal album that leaves you wanting more. The vocalist, Steven Crooks, is the ultimate frontman. Along with Robin Kimball on guitar, Chris Miller on the drums, and Mike Wagner on bass, this is one band that you need to check out. 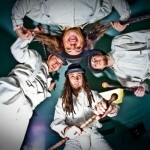 All 14 songs showcase their talent and diversity with heavy hitter’s such as “Feel This” and “Neanderthal”, to more melodic tunes such as “Elixer”. There are also some great covers of Sepultura’s “Roots Bloody Roots” and Nine Inch Nails’ “Wish”. From beginning to end, it with captivate you and pull you into their world. After listening to this album, you’ll realize that it really is just a taste of what’s to come.